What are the best sales tactics and sales strategies to grow my business? Every business owner has asked that question more times than they care to count. And the following best sales books give you the answers. Stop selling the old fashioned way. Crazy-busy and frazzled prospects need to be handled differently. And this is where SNAP Selling comes in. SNAP Selling is an acronym for the success strategies you’ll use for those time-strapped customers; make their decision Simple, become iNvaluable in the relationships, Align with the customer’s needs at all times and make sure that your solution is a Priority in the customer’s mind at all times. This sales book has a companion web site that is loaded with tips, tools and resources for successful SNAP sellers. Every business owner or salesperson knows that if you really want to sell something, you have to sell the person at the top. Selling to the C-Suite is an absolute must have sales book for anyone in business today. It’s like a practical MBA that sellers will appreciate for its touchstone guides on connecting with executives and that purchasing executives will appreciate because it will keep the salespeople they see focused on providing real solutions instead of lip service. Kelly McCormick has written a sales book for people who don’t like to sell. If you’re the kind of business owner or sales person who has avoided selling because you think or feel it’s sleazy. This is a must-read sales book. Outsell Yourself teaches you how to connect with customers like never before, keep it real, and increase your sales and talk about pricing without getting nauseous. In a world of get the sale yesterday Slow Down Sell Faster! is a refreshing sales book. Kevin Davis points out that rushing the already rushed customer doesn’t yield results for either the buyer or the seller. You’ll learn how to slow down and take the time to identify your customer’s real needs and if you’ve done that, you are halfway there. Slow Down, Sell Faster! is packed with examples from the author’s extensive experience, plus research on customer buying processes rather than traditional selling processes. If you’re a fan of Robert Cialdini and have sales responsibility then, 7 Triggers to Yes is going to be required reading. 7 Triggers to Yes is a real sales book written by a sales person for sales people. What sets this book apart from other books on persuasion is its focus on the creating, building and developing the buyer/seller relationship. You will find sales call outlines as well as tips for structuring your sales calls effectively. The authors offer practical tips and strategies that makes giving the cornerstone of a powerful and effective approach to selling. This sales book is a good common sense review of salesmanship. 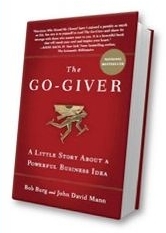 The book reinforces the habits that a good salesman must have and how to use them. You will create a sound foundation for creating and developing a relationship and understanding the sales cycle, from leads to closing the deal. Schiffman emphasizes one of the most important keys to developing a relationship with a prospect–listening for their needs and requirements, rather than imposing your own on the other person. When it comes to sales books, it’s hard to argue with names like Chet Holmes, Jay Conrad Levinson (the editor) and Michael Gerber (foreword). Chet Holmes, a sales icon and guru for many sales people, teaches the principle of focus. He encourages sales people to identify the few key success strategies that are available to them and focus there. One reader took the concept of “core story” and worked to hone his story, focused on ideal prospects and exponentially grew his business. Imagine being at the right place at the right time for just about every sale – and then getting the deal! This sales book will transform how you approach your sales process and the way you contact and nurture those leads. When you get to highly motivated decision makers at EXACTLY the right time: after they experience a ‘Trigger Event’ and before they call your competition. When you have the right timing the sale almost happens by itself. If you are a sales professional struggling with customers who are pushing you and your products into a commodity, then Mastering the Complex Sale is a sales book that belongs on your desk. Jeff Thull pushes the envelope to give professionals — from individuals struggling with their first call, to senior executives trying to figure out why their value strategy is falling short — a comprehensive guide to navigate and win high-stakes sales. With this guide to best sales books, you will get concrete advice on how to grow your sales. We urge you to print out this guide and take it with you when you next go to the bookstore. Just hit “print post” below and it will take you to a page you can easily print out. And if you’d like other business books on other topics, take the time to browse through our business book reviews section. We publish new book reviews each weekend, and there are over 225 reviews already in our archives.